I have been wearing this mascara instead of my favorite fiberwig mascara for past week and so I wanted to share what I think so far. 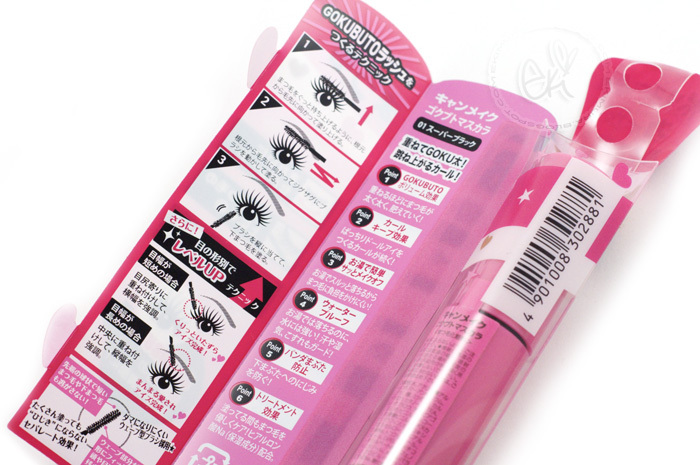 In side the card has instruction and technique on how to achieve Gokubuto lashes. with flash and without you can see that its not that Opaque but the diameter is so huge that the lens creates halo effect on the eye so you can see the lens color against my whites of my eyes and its suppost to do that and the lens is designed look like this in the eyes to create contrast. I really dont like Geo Nudy series either so I dont really care for this lens because I like lens that are opaque and this lens looks really dark in person but in photos it looks really nice. 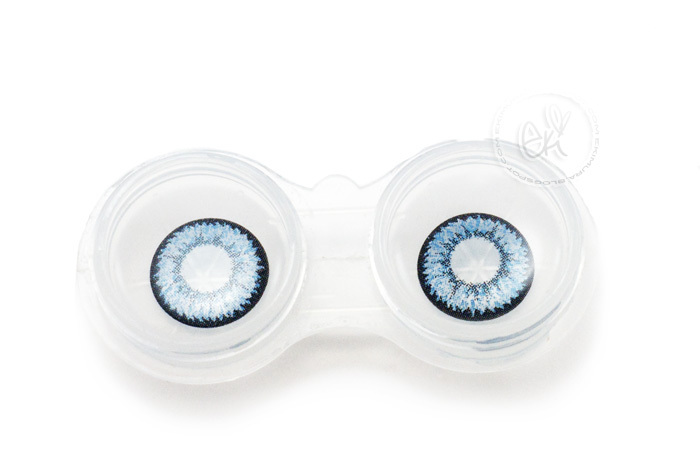 Also I dont care for lenses that creates Halo effects but if you like that you will like this lens since this lens is surprisingly comfortable for it being 14.7mm! oo lala! 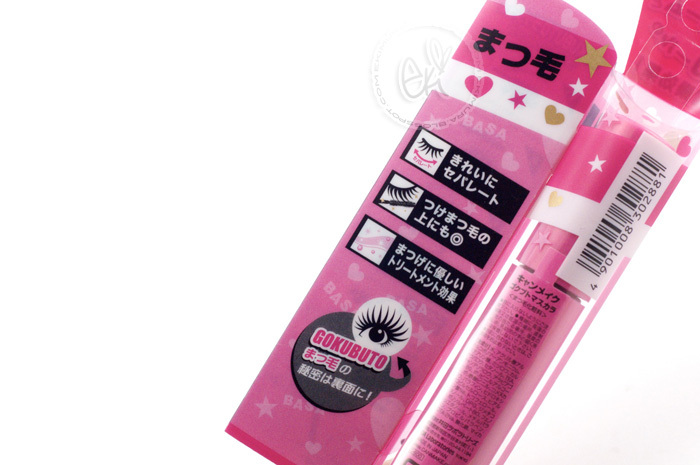 makes me want to try this mascara out :D not that i've used my fiberwig yet, hahaha. saving it! love the longer length of the necklace chain :D so tired of the 16 and 18 in honestly. in stores i don't even look at 16/18 in anymore! WELL i guess that's partially a lie, i do love the crown one from you <333. hahaha. The items look gorgeous on you~ Oh my, I think that Alice earring and necklace is looking mighty tempting! >3< Time to spurge again?! While your eyes DO look really nice and has an interesting color in the picture...I'm not to fond of it myself...it sort of makes your eyes look like they're photoshopped or something. 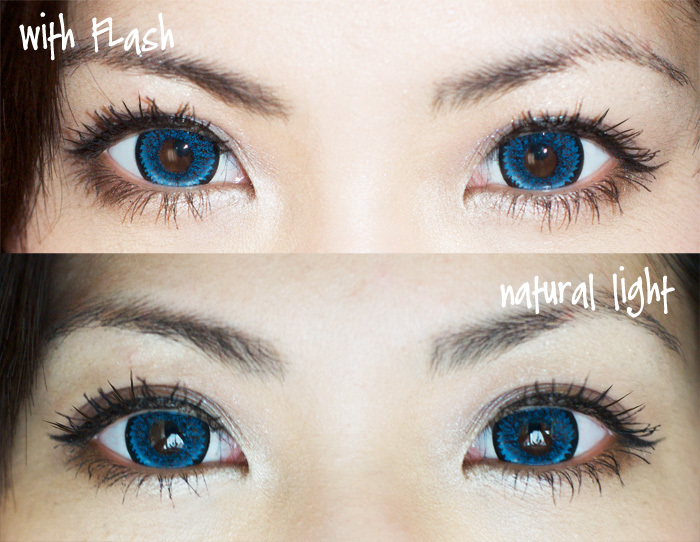 I personally don't really like blue lenses myself though. :3 I much prefer the purple (?) ones you usually wear. ^___^ But you still look great with it on, it's just...I don't like it. Wow! How lovely are you? Thanks for this posting, I've been searching around to update my contacts and it's so helpful to find great quality photos with the reviews. I just recently ordered a new pair from P.P too. I will definitely grab this mascara if i see one :D. love your new jewelries! Hi, many thanks for this awesome review!!! It was really helpful! However, I would like to know, will it help if u apply fibrewig to lengthen first then apply goukubuto to volumnize? wow... do u wear lip concealer? thanks for the review! and the japanese translations. 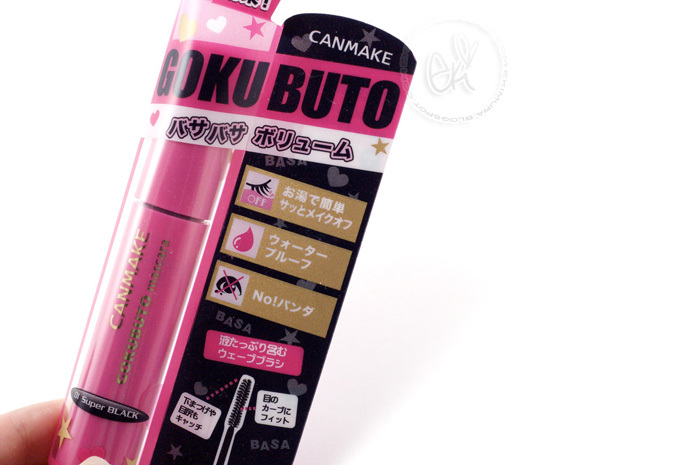 OooO the canmake mascara looks interesting =).. hehe I just got fiberwig and I'm learning how to master it lol. You always look like a doll hun<33 So Kirei desu ne!!! I'm so jealous of your uber long lower lashes! Did you achieve that with Paul & Joe Primer or are they naturally super long (but lighter)? wow...those lens look striking on you! Good review of the mascara, I ordered the fiberwig after seeing it on you so I'm glad that's still on top for lengthening effects. the lens look very nice on you, i mean in pic as you say its dark in person. i'm curious of this mascara already! you look stunning as usual eki! Nice eyes ^.^ I love the color! That's a HUGE difference, you made me want to try the mascara too!!! The Alice and Wonderland necklace is longer than I thought, but I love what you've done by making the charms dangle and I'm really happy you modeled them to show us =) Thank you!! oh Eki you are dressed in LOVE!!! I've given up on mascara, but this looks great! I'll add it on my wishlist for my next haul. Ooh, that looks super fab on you girl! Hmm the lenses looks nice on you, you can pull it off. They wouldn't look good on me though cause, i dont know, i think the color is too much. I dont think i will even wear them if i got them lol. I usually only wear gray and brown lenses. I'm more of a silver girl but the earring and necklace is pretty. So tempting! LOL. Eki you are simply breathtaking no matter what!! These lenses are so bright! They really make your eyes stand out!! 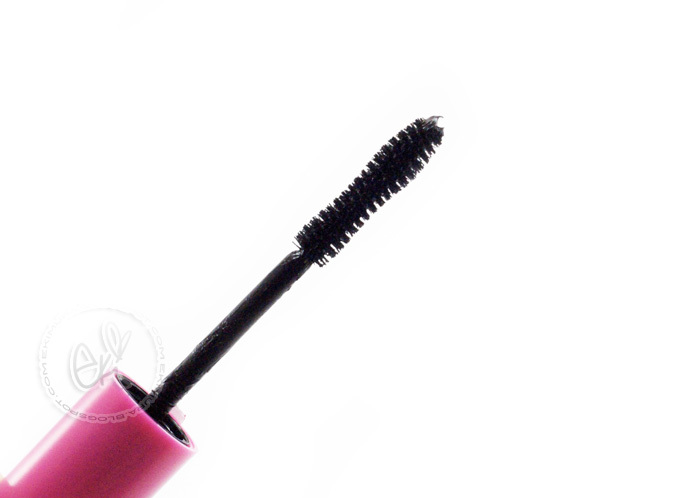 And thanks for the review on the mascara! Sounds like a good one! wow, that mascara looks very intersting? 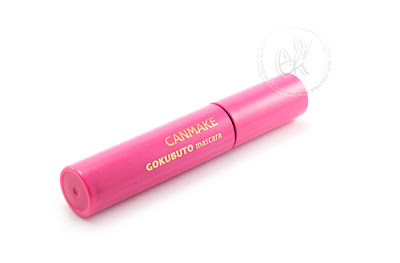 do you know where can you get your hands one one of the mascara tubes? also i love the blue lens on you, it does give you a halo look! Hey! How do you do your eyeliner? It looks amazing! !